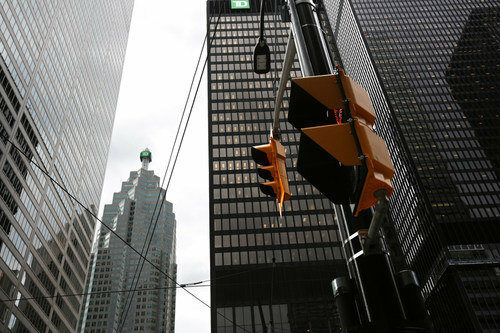 Toronto-Dominion Bank had made a preliminary offer to buy wealth management firm Richardson GMP Ltd, the Globe and Mail has reported. Prior to this announcement, TD sought to extend its exclusive right to perform due diligence on the firm before making a binding bid. According to unnamed sources familiar with the sale process, the bank’s due diligence period will last until Nov. 22. If the sale of Richardson GMP pushes through, the firm with more than $27 billion in AUA would be the latest significant acquisition in a wave of consolidations that is sweeping through the sector, leaving only Canaccord Genuity Group Inc. and Raymond James Ltd. as the only significant wealth managers that are not owned by a Canadian bank. It would also be the largest M&A deal that the Canadian wealth management sector has seen in many years. “As is our normal practice, we will decline to comment on rumor or speculation,” wrote spokeswoman for TD Alicia Johnston in an emailed statement on Sunday. The Globe and Mail also did not manage to get comments from officials of Richardson GMP or GMP Capital Inc., which owns a minority stake in Richardson GMP. TD’s preliminary bid of around $600 million exceeds some observers’ estimates of the firm’s value, with a recent estimate made at around $550 million. The wealth management firm, which focuses on high-net-worth clients that pay lucrative fees, would be an attractive asset for TD, the only Big Six bank that has not made a significant acquisition in full-service retail brokerage. Richardson GMP was formed from a merger between GMP Capital’s wealth management arm and Richardson Partners Financial in 2009. GMP and Richardson Partners each own a 30% stake, with the remainder owned by the firm’s retail advisers. A “liquidity mechanism” set to take effect in November will allow any of the three major shareholder groups to put Richardson GMP in play.